Don't have a corporate wellness program? Start your own. As a working professional, your personal wellness is in your best interest — for reasons beyond the obvious. Healthy employees are happier, more motivated and less costly (due to decreased health insurance costs and less absenteeism — in fact, workplace illnesses and injuries cost US businesses more than $225 billion every year). 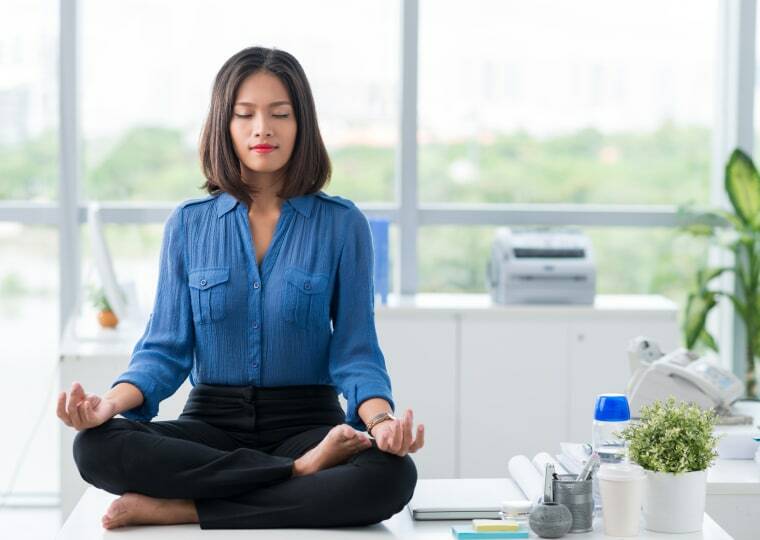 Many businesses opt to institute a formal employee wellness program to bring those costs down and improve worker health, but if your employer doesn’t have the time, money, or interest in creating a program, you might have to take some measures on your own to improve employee wellness in the office. Thankfully, there are some easy ways you can improve your own wellness (and the wellness of others), even without a program in place. Workplace illnesses and injuries cost US businesses more than $225 billion every year. Use free information widely available on the Web. Collate and print out informational booklets to distribute to your coworkers. These could include tips on how to eat healthier and live a more active lifestyle, such as describing the nutritional value of different food groups and recommending specific workout plans. You could also include information on healthcare costs, and the value of preventative strategies. Or, you could post a healthy tip of the day on shared bulletin board to inspire your co-workers to eat better, get up and stretch or make time for the gym. Focus on improving posture. Bad posture is an easy habit to slip into, but over time, it can lead to the development of chronic back pain and other issues. Giving yourself regular reminders to correct your posture, or forcing yourself to correct it with orthopedic furniture or standing desks, can dramatically improve your health and feelings of wellness and may inspire your co-workers to do the same. Make it easier to join a gym. If you have a local gym where all or most of your coworkers can easily travel, consider negotiating a group rate. Most gyms will be more than willing to cut the monthly cost of a membership if, say, you have 30 people ready to join immediately. If your company is willing to invest some extra money here, you can subsidize portions of your employees’ memberships. Having a gym membership isn’t a guarantee that you and your coworkers will exercise more frequently, but it’s a good start. Start bike or walk days. Biking to work is highly beneficial for a number of reasons, allowing for exercise, better perspectives on the city, reduced carbon emissions, reduced fuel costs, and sometimes even cutting the time it takes to get to work (depending on where you live). However, some people won’t be willing to bike (or walk) to work unless there’s an extra push to get started. For you and your team, that could mean leading the charge on “bike days” where you encourage everyone to bike to work on a specific day of the week, or collecting like-minded people together to commute in carpool-style bike packs. Stretch and exercise midday. Every so often, get up from your desk, stretch and walk around to get some exercise. If you encourage other people to do this, maybe once an hour, you’ll collectively become more active and avoid the health consequences of simply sitting all day. If you know a yoga practitioner in your office, ask them to lead a quick session of "desk yoga." You don’t need to be in particularly good shape to do this, nor do you need much time. All you need is a bit of collective awareness. Provide healthier options in the break room. How often do you see donuts, cake or other pastries in the breakroom? It’s hard to avoid these sweet indulgences when they’re right in front of you. Putting a spin on your corporate culture and changing the types of food you bring in could help people make healthier decisions throughout the day. For example, buying a vegetable tray for the group, rather than a box of cupcakes, may not be met with the same enthusiasm, but it will serve a similar purpose and help people stay on the right track with their health and fitness regimens. Keep some healthy snacks stocked so people aren’t tempted to hit up the vending machines or get fast food. The secret to improving the collective health of a group of coworkers is establishing a sense of community. When everyone within a group shares the same values of building a healthier lifestyle, it’s easier to stay motivated as individuals. And as you can see, these strategies don’t cost much money; some of them are completely free! If you’re a decision maker, you can start implementing these strategies as soon as you have a free hour or two to pursue them. If you’re an employee, you can start building momentum on most of these strategies on your own, and petition your supervisors to take even further action. Convince them how much money they’re wasting on employee health issues, and they’ll likely jump on board.